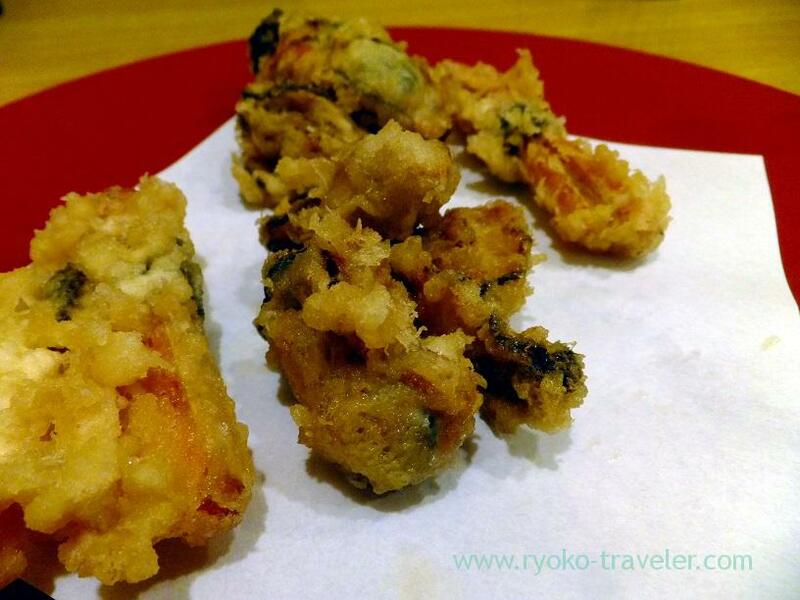 Gorgeous tempura along the back alley in Tsukiji. 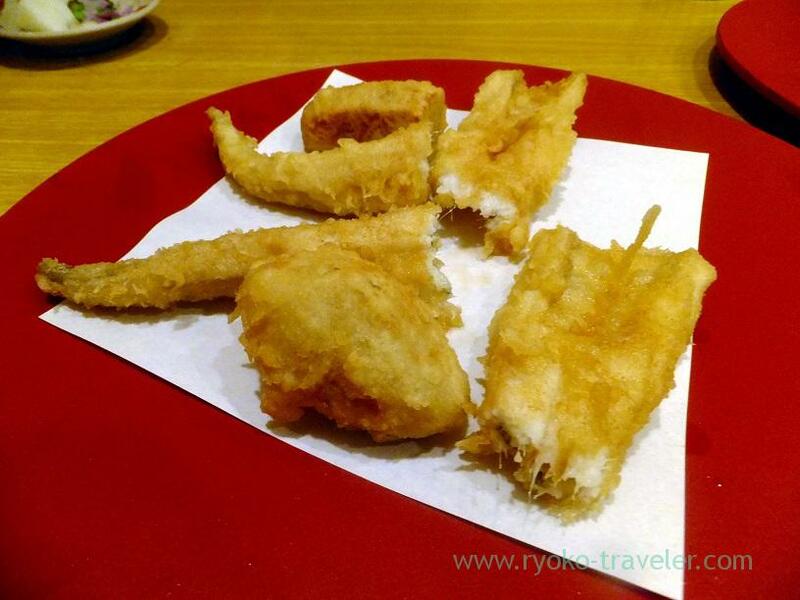 Tempura Kurokawa is one of my longing restaurant in Tsukiji. 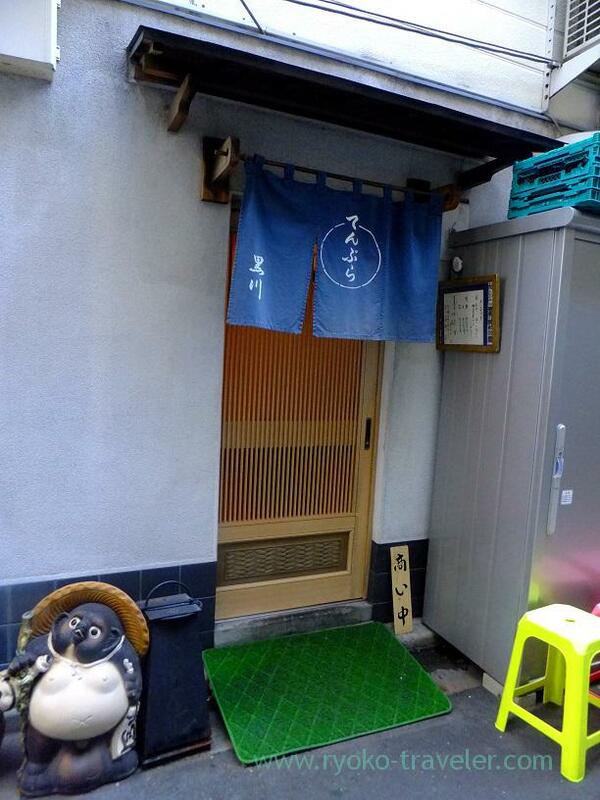 It stands back alley of Tsukiji Outer Market. 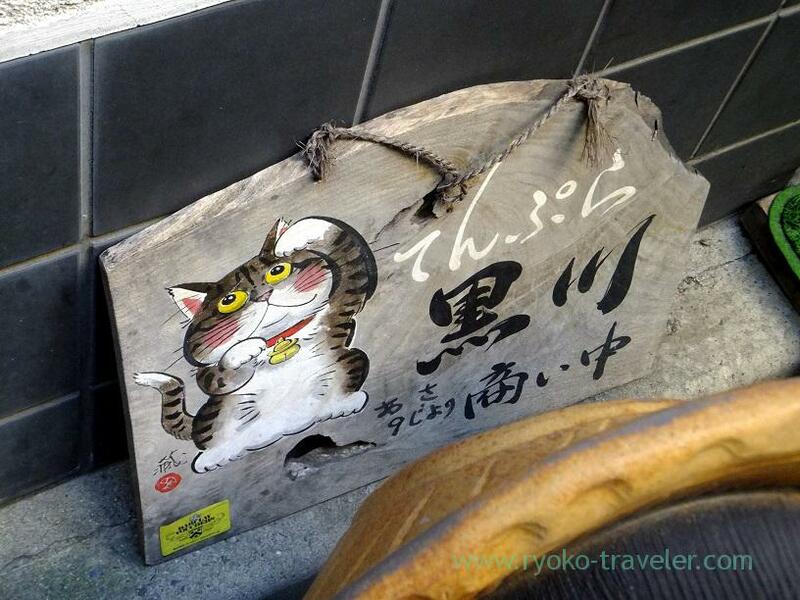 I’m sure that people who come to Tsukiji for the first time can’t find the restaurant. Well we entered the restaurant ! 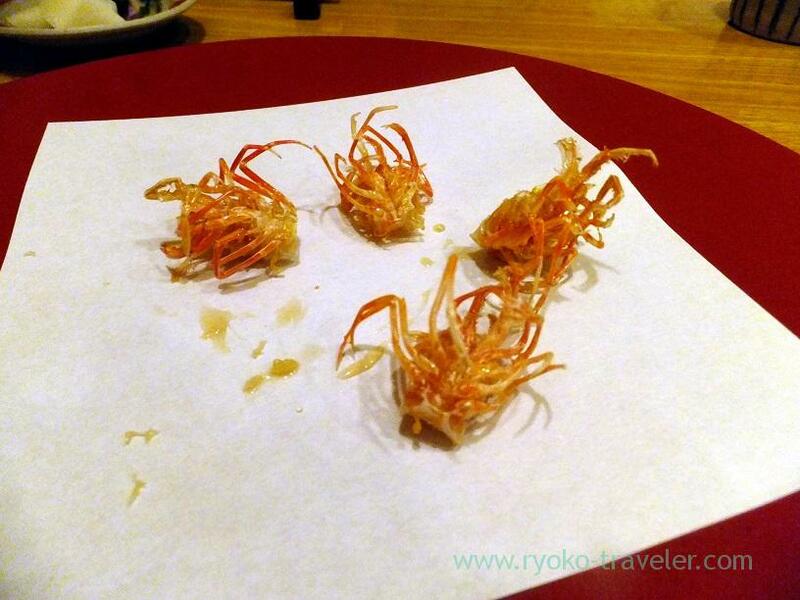 Kurokawa have four courses. 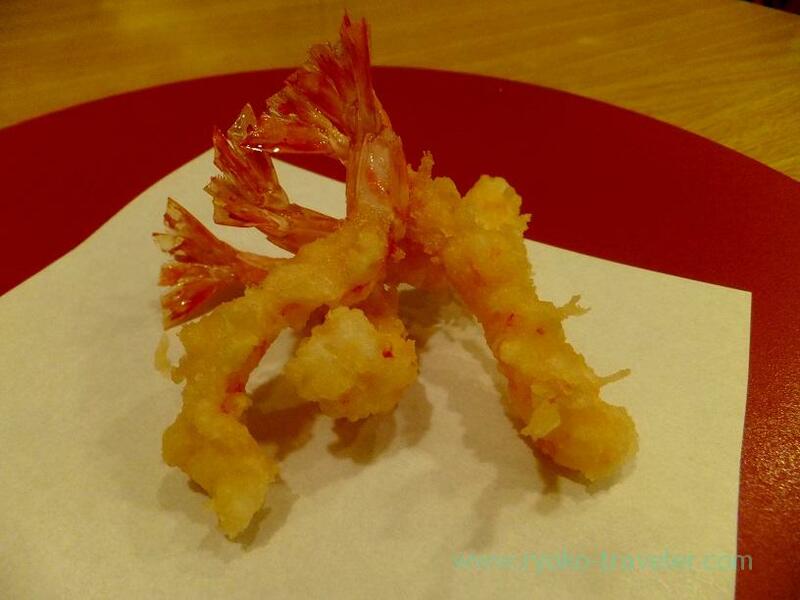 From 2000 yen, but I wanted to eat prawn tempura, so I choiced “Moon (月)” course that cost 3000 yen. Four kinds of salts on the table. 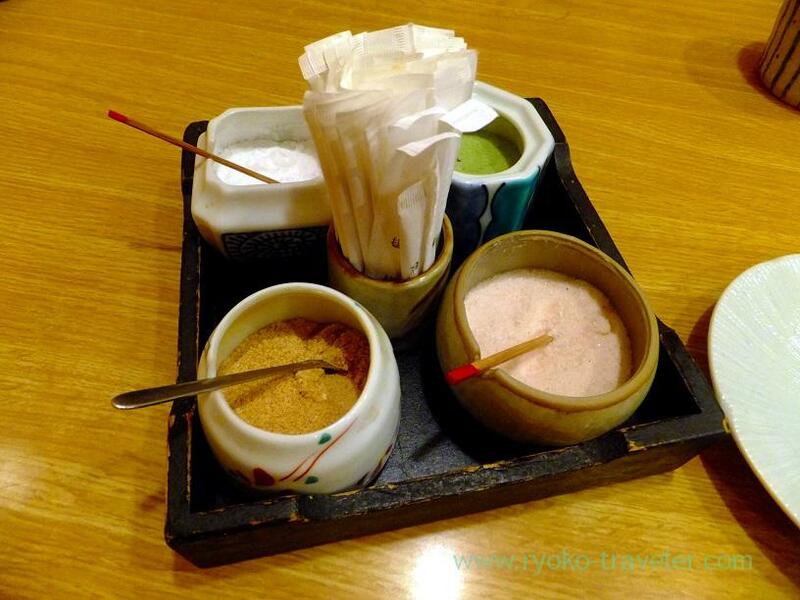 Ordinary rock salt, maccha-flavored salt, Andean rock salt and curry-flavored salt. First, foots of prawns came. A, every dishes were for two helpings. It was crisp and tasty. 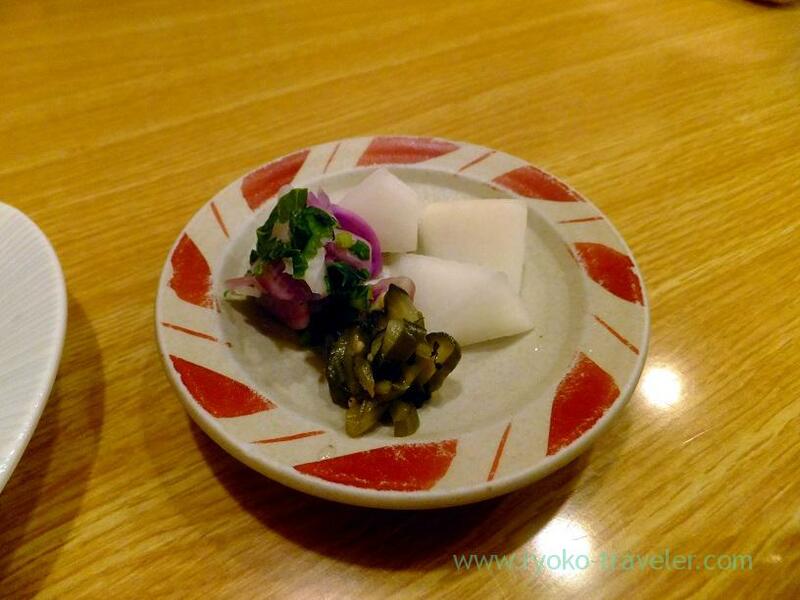 Yum and ginger roll with bean curd sheet. It had a pleasant contrast between sticky texture of the yum, smooth feeling of the bean curd sheet and the crispy coating. 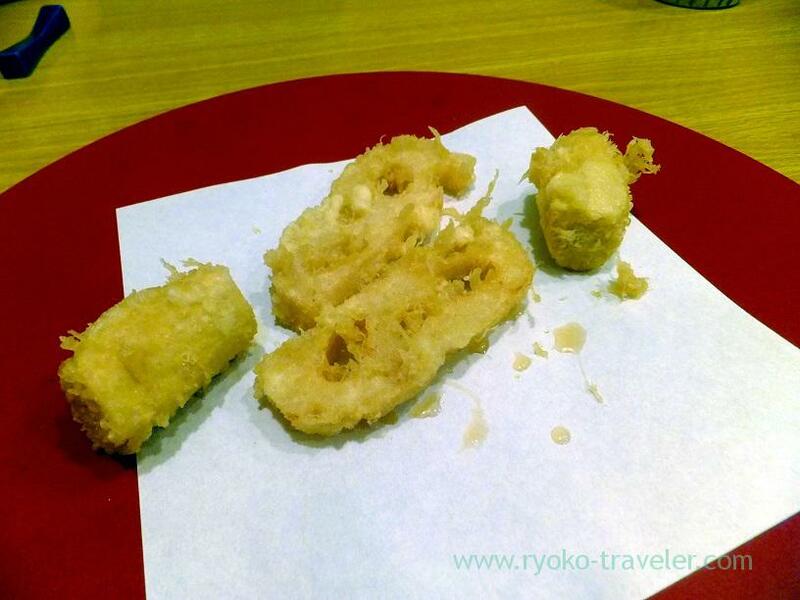 Conger eel tempura and taro tempura. 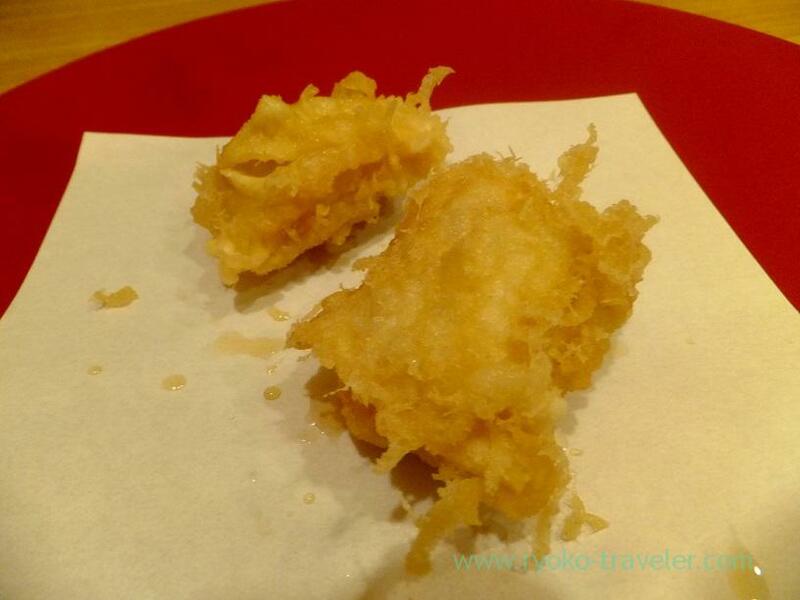 I love taro, and this was the first time to eat taro’s tempura. 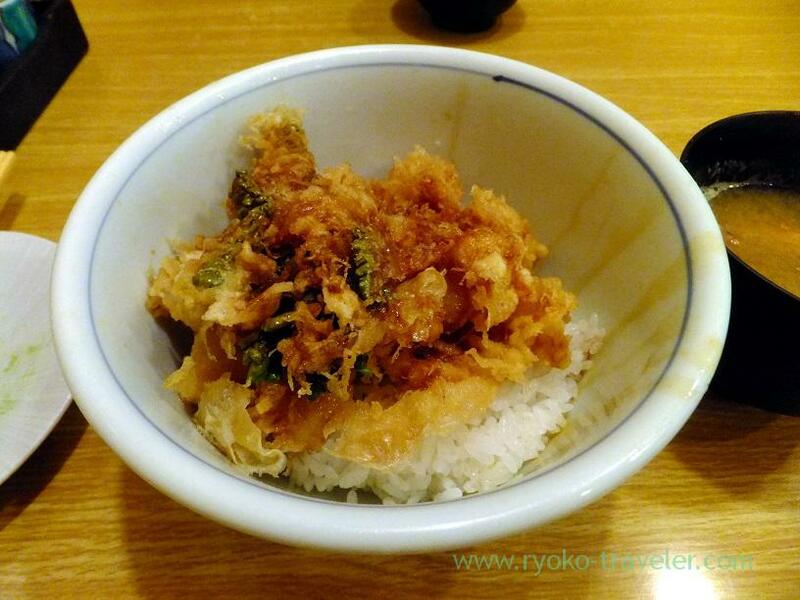 Last, Kakiage (Mixed tempura) bowl came. Such a lot ! The scallops were medium rare and so juicy, But,,, well, this course was too much for me 😛 I was already over full. But …. I managed to eat up with much time. 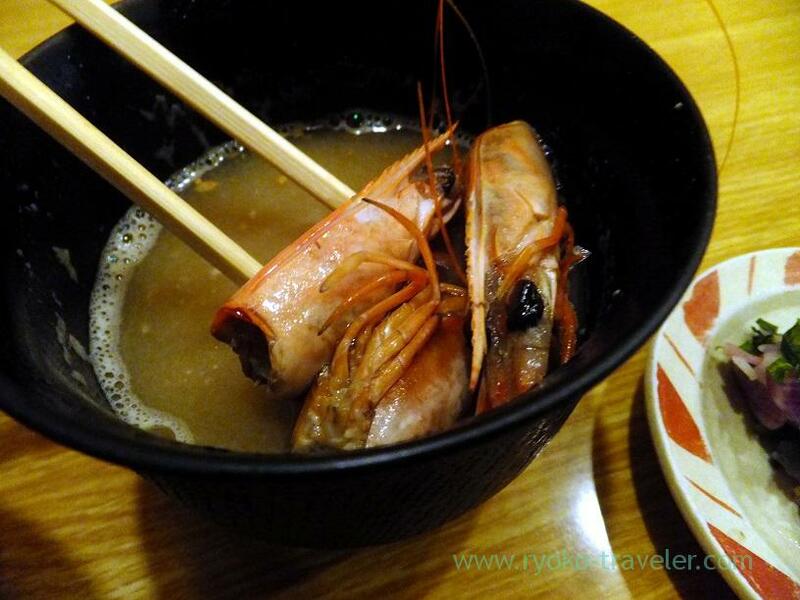 Miso soup had about four prawn’s heads. Kurokawa opens from 9 a.m. and we went to there 9 sharp, but after a few minutes later there was few vacant seats left because it is very small.